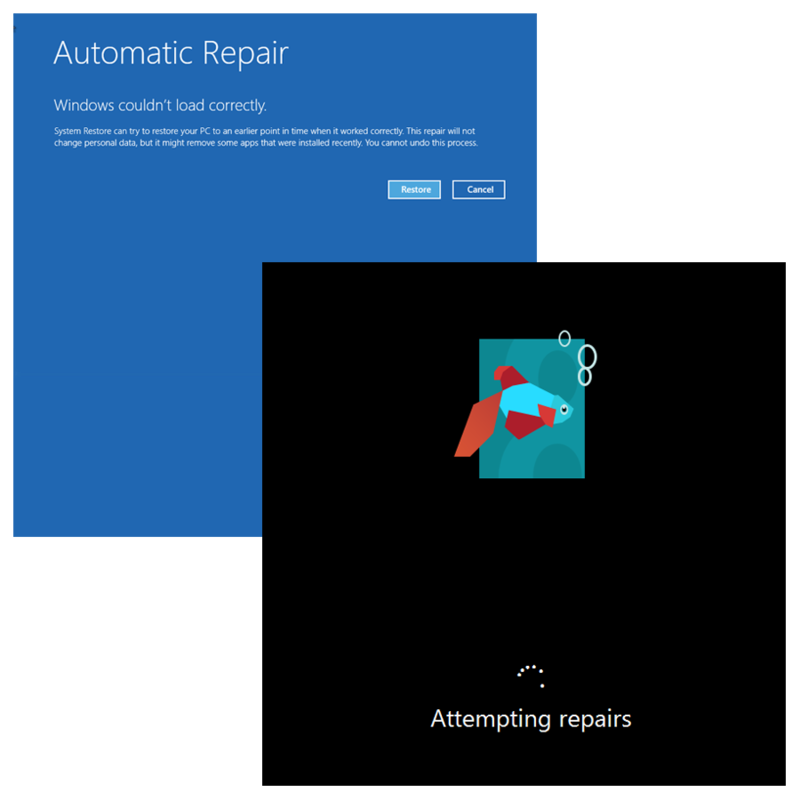 I’ve seen this on both the Windows 8 (Consumer Preview), and the Windows Server 8 (Beta), whilst running them in VMware Workstation 8. 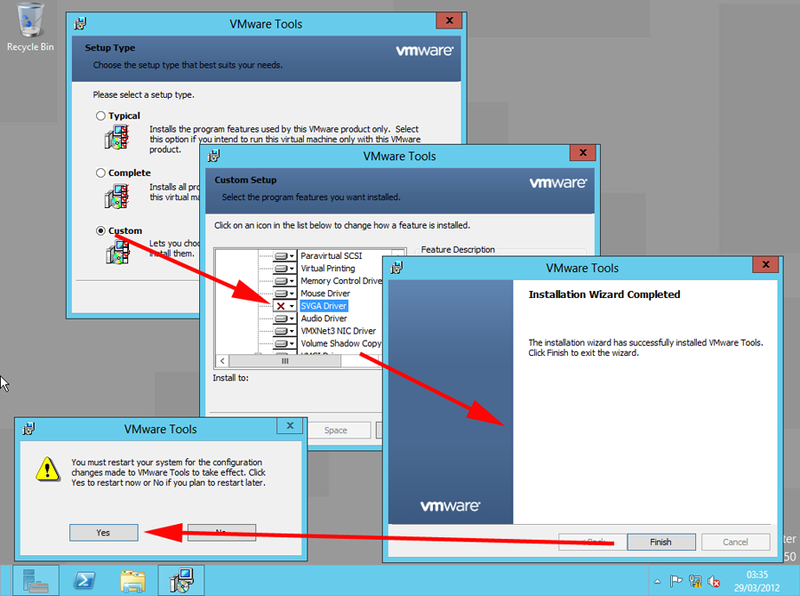 They install fine, but if you install the VMware tools all you get is a black screen. This is because the SVGA Driver than VMware Tools installs Windows 8 does NOT Like. Note: This does not hppen on ESXi 5. I knew this was going to happen, so I took a snapshot before I installed VMware tools, Then I had the luxury of reverting back. If you are reading this you probably didn’t! If that IS the case, then press F8 as the Virtual Machine starts to boot to launch Automatic Repair (be quick on the keys). 1. 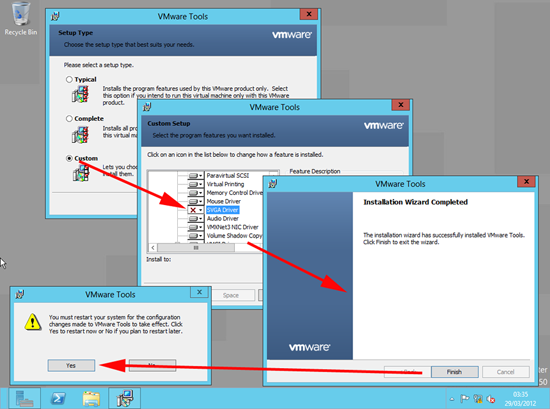 To stop this happening, when you install VMware tools select > Custom > Remove the SVGA Driver > Next > Finish > Yes (to reboot). 2. 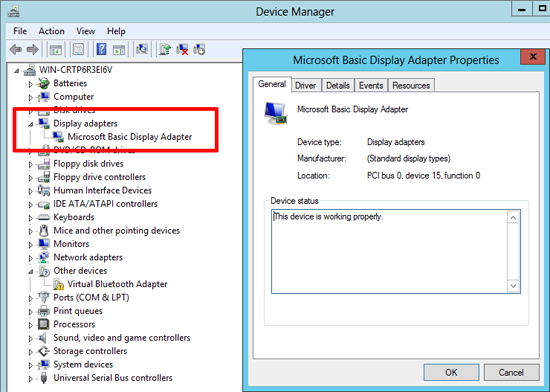 You will notice that the display driver that is uses, is the “Microsoft Basic Display Adaptor”.